← WHY NOT JUST GIVE THEM THE ANSWER? 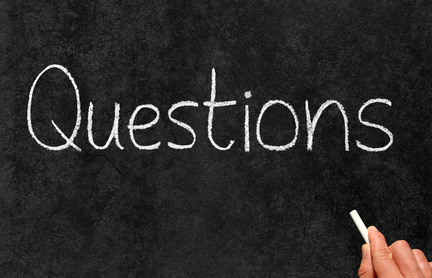 What kinds of questions populate your repertoire? Beyond the mundane, “Did you have a nice weekend?” or “Where is your homework?” what kinds of questions dominate your days? Do your questions lead to rapid, factual regurgitation or to extensive, in-depth exploration? What questions are you asking of yourself, of your units, of your planning? Do your questions energize your planning and animate your students? If not, then, most likely, you are not asking the right questions. Earlier, we indicated that students need to find the answers for themselves. It is this kind of “student-centered” instruction that not only meets the demands of state and national standards, but also arouses student curiosity for and interest in classroom content. Let’s face it, which is more interesting, “What are the seven steps of the scientific method?” or “What must a scientist do in order to conduct research?” If you teach mathematics, which is more engaging, “What is the equation for calculating the hypotenuse of a triangle?” or “How is geometry applied in the ‘real’ world?” If you teach Language Arts, which generates the most enthusiasm, “Who can give me the three elements of a good paragraph?” or “What is the best way to make a written argument?” The point here is that, regardless of your specialty or discipline, the best questions you can ask yourself and your students are Essential Questions (EQ’s). Essential Questions should be the foundation of your instruction. EQ’s are open-ended, connected to students’ lives, are explicit and are easily understood. As you plan your units and your lessons, important concepts written as EQ’s will focus your instruction squarely on key curriculum standards. 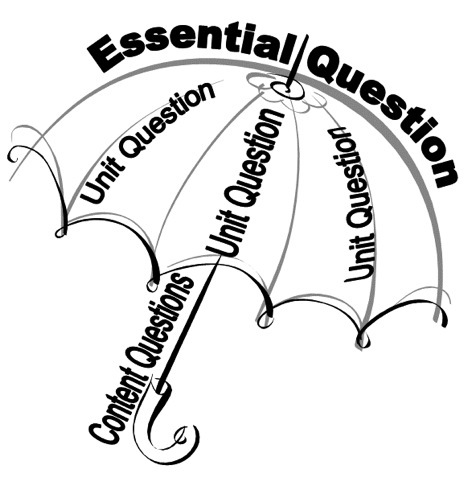 First, ask yourself, “What are the important concepts my students should learn from this unit?”, then write each concept in the form of an EQ. For instance, important concepts in population geography might be: 1. Geography influences human action, 2. Human activity has direct impacts on the environment, and 3. Current practices affect the global, not just the local, environment. EQ’s that would drive each lesson might be: 1. How has the physical environment influenced human settlement?, 2. In what ways do human agricultural and economic activities affect the environment?, 3. How do political and economic decisions affect environments today? Each of these questions meets EQ requirements. Each connects to students’ lives. Each provokes in-depth exploration. Each has more than one correct answer. Each lesson addresses one or more of the goals and objectives of the unit. Questions are essential to effective classroom instruction. Essential Questions should drive your instruction, your students’ learning and your lesson planning. Posted in Education and Change and tagged Classroom, Education, Help, Questions, Teachers. Bookmark the permalink.